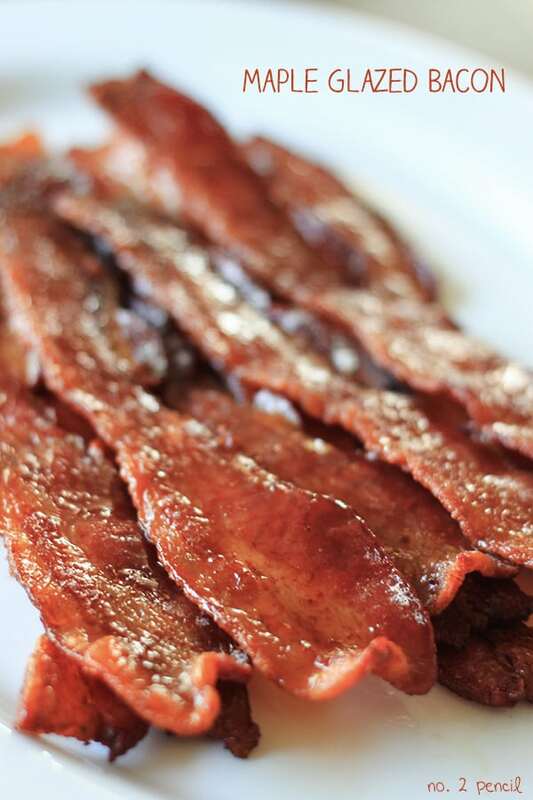 Today I’m sharing one of our weekend breakfast favorites, Maple Glazed Bacon. It’s really simple and of course, really delcious! The combination of the salty bacon with a sweet maple glaze is amazing! Make sure to use the thick slices of bacon for this recipe. Regular bacon is hard to remove from the baking racks in one piece. 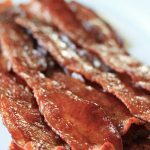 Maple Glazed Bacon is delicious with waffles, pancakes or french toast and it’s perfect for a brunch! 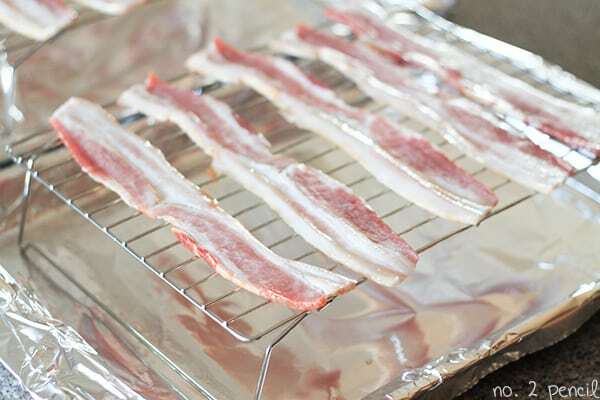 Lay the bacon slices on a baking rack and place both on a foil lined baking sheet. Lining the baking sheet with foil makes for easy clean up. Note: I folded the legs of my baking rack in after I took the first picture. It’s sturdier with the legs folded down, and when you are dealing with hot bacon, you don’t want any wobbling! When the bacon starts to crisp, at about the 25 minute mark, remove from oven and brush with pure maple syrup. Return to oven and let the maple syrup caramelize for about five more minutes. 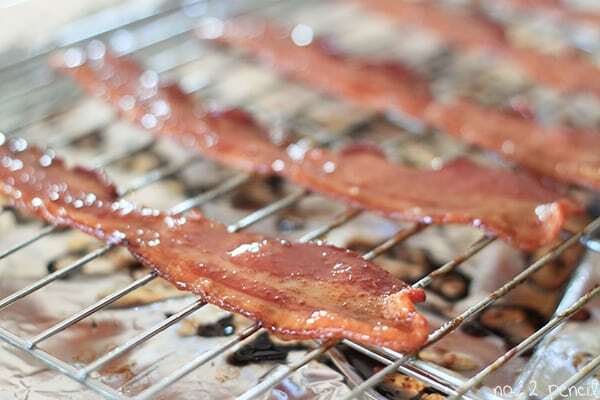 Use thongs to remove the bacon from the baking rack while still hot. If you let the bacon cool on the rack, it will start to stick. Ooooh this looks so delicious. I’m a true bacon lover and I will order something just because it features bacon. I have never tried maple syrup bacon but I’m putting it on the “to do” list for sure!